Smart is a term tech manufacturers throw around a lot these days. It’s found on everything from watches to appliances, signifying a product’s ability to do more and go beyond its core capabilities. In fact, you can argue that being smart has, in itself, become a core capability—but what does being smart really mean? Well, we can usually expect Internet connectivity, for starters, which allows the item to use the World Wide Web and all its resources to enhance its functionality. We should also expect the item to offer a level of convenience that otherwise “dumb” items wouldn’t be able to deliver. My Smart TV, for example, allows me to transfer video from my smartphone quickly, offering seamless transition from device to device. It’s an advantage that’s tangible; it works on paper and in the real world. That’s not all, though—it should also be intuitive. If a smart product truly aims to make our lives better, it shouldn’t be a pain to use. I can flip a light switch easily on my own, and doing so from an app shouldn’t be an arduous task—it should almost feel like second nature. Maybe those things are preferences and not requirements, but they also lend to a smarter experience. Speaking of Internet connectivity, if you’ve shopped for a wireless router or even glanced at one on a retail shelf, you’ve no doubt come in contact with the TP-Link brand. A networking powerhouse, TP-Link offers a wide array of home and business products including wireless routers, range extenders, cable modems, switches, and more. As a growing number of devices in our homes look to join the Internet of Things party, it makes perfect sense for a renowned wireless company like TP-Link to enter the smart-home arena. Taking a look at the company’s smart home lineup, it’s clear that TP-Link looks to get you connected in multiple ways by offering devices like Smart Plugs, Smart Bulbs, and Smart Switches. Looking at TP-Link’s Smart plugs, specifically, you’ll see a few options that are designed to accommodate a variety of installation types. 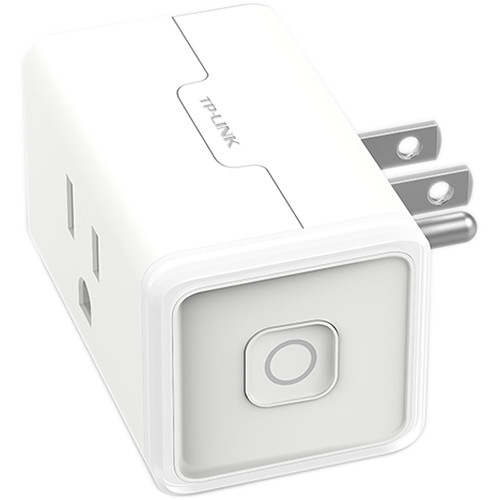 The popular HS100 is a full-size plug that comes in two flavors, with or without energy monitoring capability, while the new HS105, which will be the focus of this review, doesn’t currently offer an energy-monitoring option, but it does feature a mini profile to better accommodate wall sockets that have more than one outlet—a welcome design choice when space is at a premium, as is the case in my apartment. When unboxing the HS105, TP-Link’s design intentions become clear. At approximately 2.5 inches wide and at a height and depth of 1.5 inches, these mini plugs were designed for stacking. Each plug features a single 100 to 120 VAC-compatible 3-prong outlet and is equipped with an LED indicator that lets you know when the plug is powered on, ready for setup, or connected to the Internet. There’s also a power button at the end of each plug for easy operation. When it came time for setup, I chose my opportunity carefully. I wanted an audience for this one, and I had the perfect place in mind. My family and I tried something new this year. Considering how expensive the holiday season can be, the adults got together and decided to do a grab bag a few weeks before the season. My wife planned it all out carefully, and each person secretly pulled the name of another, along with their respective “wish list.” As fate would have it, I pulled my uncle’s name, the same uncle who hosts our annual Christmas party, and what did he want this year? No, not the HS105; that would be too easy. He was getting an Echo Dot. Score! 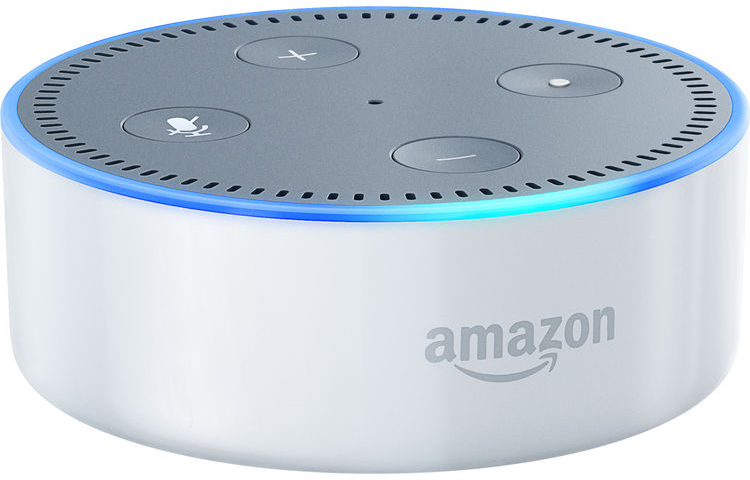 In case you’re unfamiliar, the Echo, Echo Dot, and Tap are a line of voice-enabled digital assistants from Amazon that allow you to complete multiple tasks like play music, set a timer, add food to your grocery list, or even control compatible smart plugs like the HS105 simply by using your voice. Having recently purchased an Echo for my own home, I was very familiar with the setup and installation process, so when we arrived at the party and unveiled the gift I knew the time would come when someone would ask the resident nerd—me—to set it up. When the time came, I gave a reluctant shrug, not wanting to show my hand. While everyone ate their delicious red velvet cupcakes, I quietly went to work making the necessary connections, which believe me, sounds much more complex than it was. 5. Finally, selected “Discovered devices” in the Alexa app, which enables the Echo Dot to find the HS105, which it did. That’s it. 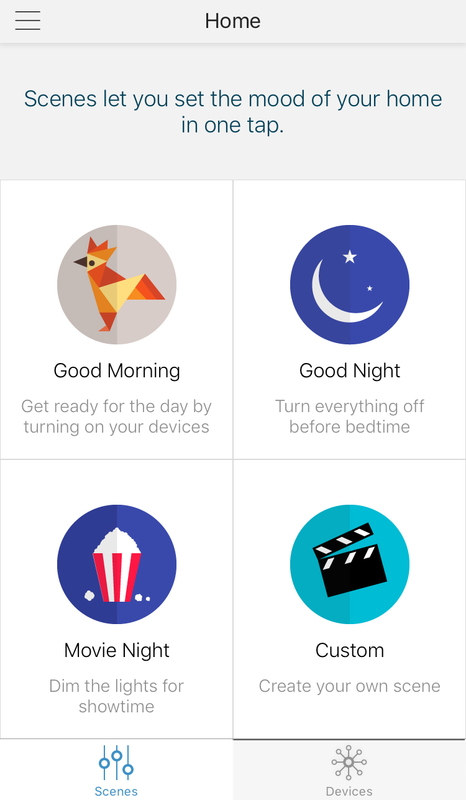 The apps walk you through the entire process and there are visual indicators along the way. Just note that the HS105 only supports 2.4 GHz wireless frequencies, which in my home doesn’t have quite the same reach as 5 GHz. More impressive than how simple it was to configure, was that no one noticed what I was doing. Aside from plugging in the lamp, I could’ve been texting with friends or checking my fantasy football matchup (I lost) for all anyone knew. It was time for the reveal. Over the sea of voices, I simply said from across the room: “Alexa, turn on the Living Room Lamp,” to which she replied, “OK,” and just like that, the lamp turned on and the crowd went wild! I’ve built my mother-in-law a PC from scratch, which was a much more difficult task, and she wasn’t nearly as impressed with that as she was with the HS105 and Echo Dot illuminating the living room—and I didn’t even need a screwdriver. Needless to say, I spent the rest of the night talking about how the two work together and explaining all the other things you can do with the rest of TP-Link’s smart-home lineup. If you’re wondering if you need two apps to operate the HS105, you don’t. While both apps are required for set up, once the HS105 was configured, the Alexa app wasn’t needed to communicate with the plug. 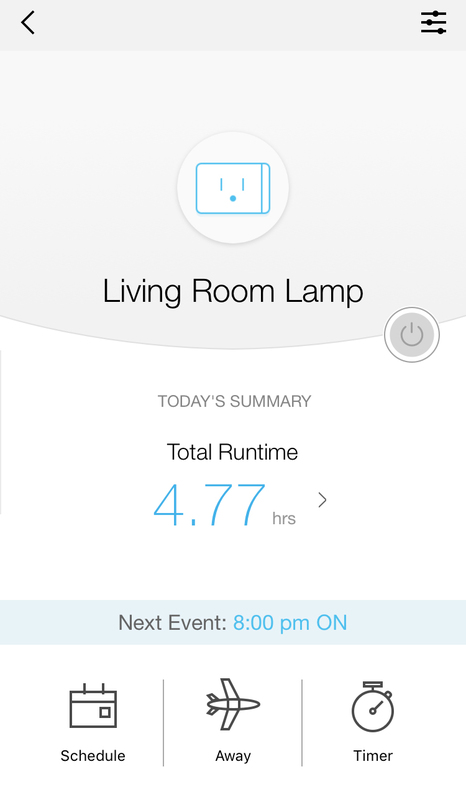 Considering I could now turn the lamp off with my voice, I didn’t need TP Link’s Kasa app much either, but that doesn’t mean it’s not useful—quite the opposite. The Kasa app not only allows you to control the plug from anywhere Internet access is available, but you can configure a power schedule, away times, timers, and even build scenes such as “Movie Time,” which will automate tasks like turning off all of your connected lamps (or other devices) with the press of a button, allowing you to simulate a darkened movie theater environment. You can even see the plug’s total run time for the current day, previous week, and previous month. Furthermore, with the app you can also rename the plug and even give it another icon that best matches its newest assignment. 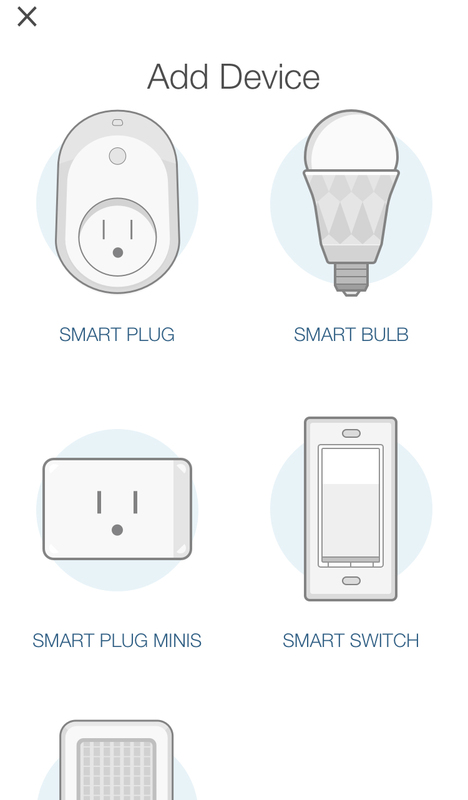 Adding a new device was easy, as well, pressing the plus symbol in the top right corner allows you to select a new Smart Plug, Smart Plug Mini, Smart Bulb, Smart Switch, or Range Extender. Just how Smart is it? Ok, so maybe “and the crowd went wild” was a bit dramatic, but it’s safe to say that the HS105 was a crowd pleaser that night. In my opinion, real-life scenarios are the best way to judge a product’s usefulness, not just in my own life, but in the lives of people I consider less tech-minded than I. Smart devices have varying degrees of intelligence, and the HS105 delivers where it matters most: solid functionality, actual convenience, and ease of use. 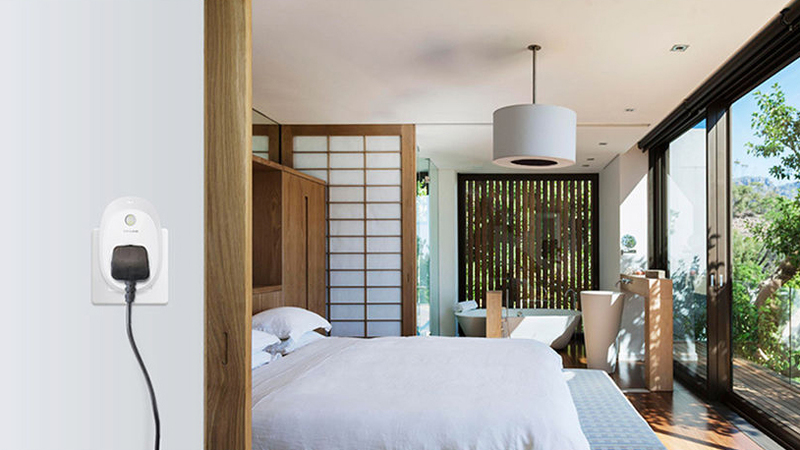 Whether controlling the plug with my voice via the Echo or by using the Kasa app, I found it to deliver reliable performance that I can trust to control my home’s lighting conditions or whatever I connect to it. When summer rolls around, powering on my air conditioner on the way home from work is going to be quite useful. 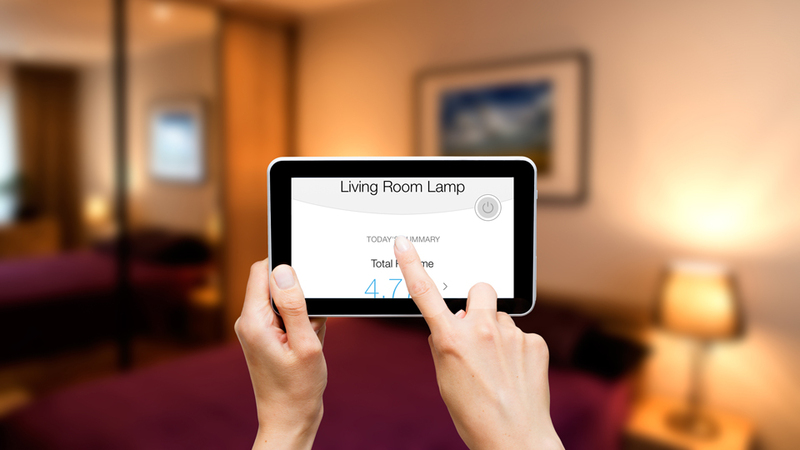 Let us know if you need help making your own home smarter, we’d be happy to help you get there and you may be surprised just how easy it is to accomplish. We have great news for Google Home owners, because as of 3/28/17, TP-Link’s smart home lineup, which includes bulbs, outlets, and light switches, is now compatible with Google’s popular voice-activated assistant. So just like the Amazon Echo, the Google Home can now control your connected devices simply by using your voice. Stay tuned, because we plan to go hands-on with this new capability when we take a closer look at Google’s smart home products. Post your questions or thoughts in the Comments section, below.